With a stay at Hotel Barracuda, you'll be centrally located in Cozumel, a 1-minute drive from Dolphinaris and 12 minutes from Chankanaab National Park. This family-friendly hotel is 8.5 mi (13.7 km) from Paradise Beach and 8.8 mi (14.2 km) from Playa Mia Grand Beach and Water Park. Take advantage of recreational opportunities offered, including an outdoor pool, an outdoor tennis court, and a fitness center. Make yourself at home in one of the 7 guestrooms featuring refrigerators and microwaves. Complimentary wireless Internet access is available to keep you connected. Bathrooms with showers are provided. Conveniences include coffee/tea makers and portable fans, and housekeeping is provided once per stay. With a stay at Hotel Mary Carmen, you'll be centrally located in Cozumel, within a 5-minute drive of Dolphinaris and Benito Juarez Park. This hotel is 9.1 mi (14.6 km) from Paradise Beach and 9.4 mi (15.1 km) from Playa Mia Grand Beach and Water Park. Make yourself at home in one of the 40 air-conditioned rooms featuring flat-screen televisions. Complimentary wireless Internet access keeps you connected, and cable programming is available for your entertainment. Bathrooms have showers and complimentary toiletries. Conveniences include phones, as well as complimentary bottled water and ceiling fans. 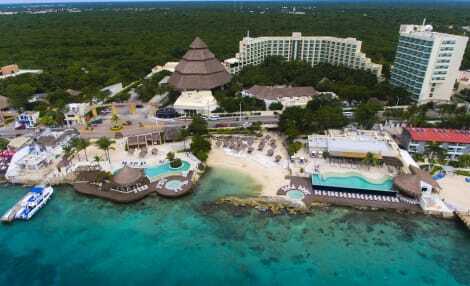 Located in Cozumel, Casa del Mar Cozumel Hotel & Dive Resort is within a 10-minute drive of Palacio Municipal and Dolphinaris. 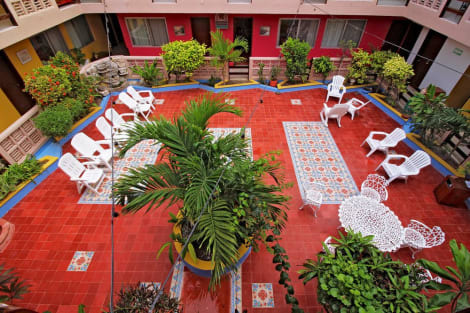 This beach hotel is 2 mi (3.3 km) from Plaza Punta Langosta and 2.2 mi (3.5 km) from Stingray Beach. Don't miss out on recreational opportunities including an outdoor pool and bicycles to rent. This hotel also features complimentary wireless Internet access, concierge services, and babysitting/childcare (surcharge). 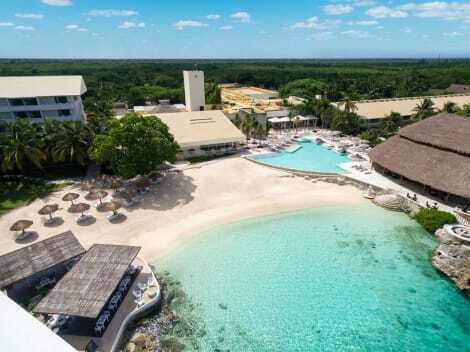 lastminute.com has a fantastic range of hotels in Cozumel, with everything from cheap hotels to luxurious five star accommodation available. We like to live up to our last minute name so remember you can book any one of our excellent Cozumel hotels up until midnight and stay the same night.